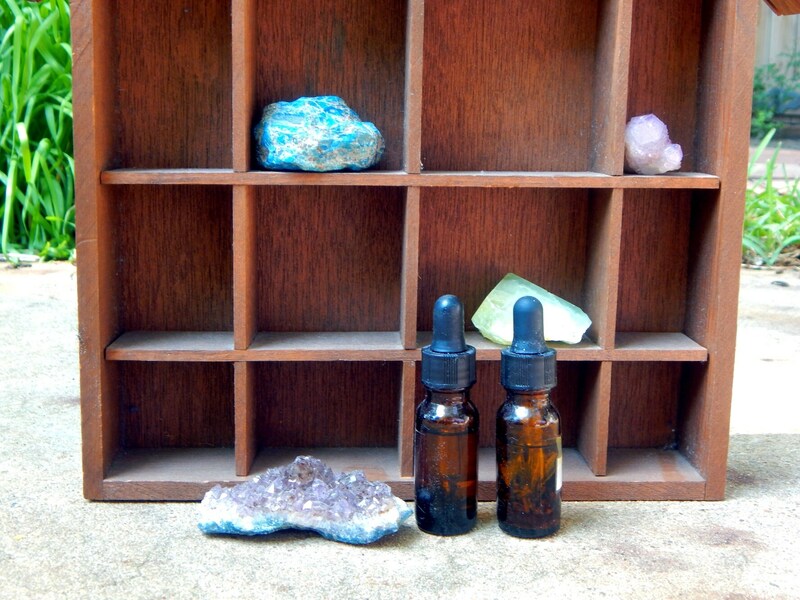 Select your intent 1/2 oz (15 ml) amber glass dropper bottle of my personal recipe hand-crafted Anointing Oils. You can also craft your own custom set of 2 or set of 3, please specify additional choices in notes to seller. Some blends may be limited quantities or crafted once monthly during specific times. Please inquire in private message if you would like to order multiple vials of one type of anointing oil. EXOTIC PASSION OIL - Seduction, sexuality, increase desires, confidence, sexual energy, passion, magnetic attraction. 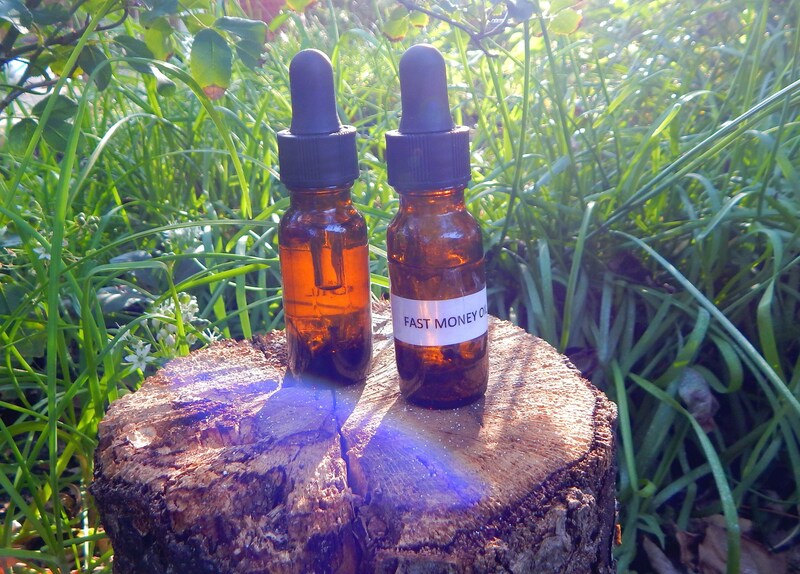 FAST MONEY HERBAL OIL - Increase funds, money, prosperity, abundance, good fortune. GAIA FERTILITY & ABUNDANCE OIL - Fertility, Earth goddess, healthy pregnancy, conceive a baby. **ECLIPSE OIL - Special edition, limited quantity. Crafted by Solar Eclipse event. Clarity, reversing, removing obstacles, celestial blockbuster oil. EXCALIBUR OIL - Clarity, cutting cords, releasing problems, making decisions, wisdom, truth oil. SUPER 13 HEALTH OIL - Healthy mind, healthy body, healthy emotions, healthy soul. SUPER 7 CLEANSING BLEND OIL - Cleansing the aura, clearing negativity, balance, cord cutting, bad vibe buster oil. ARCHANGEL MICHEAL PROTECTION OIL - Archangels protection, no more bullies, confidence, white light protection, keep me safe oil. 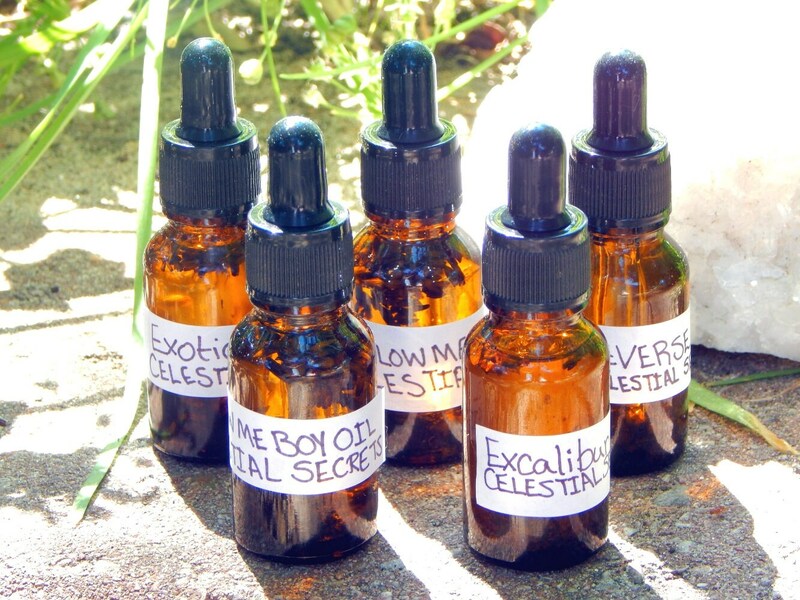 PSYCHIC INTUITION OIL (also try my 3rd eye chakra oils!) - Increase intuition, spiritual connection, clairvoyance, meditation, divination. GODDESS HESTIA HOME & HARMONY OIL - Happy home, space clearing, no bad vibes, harmony, peace, harmonious relationships, keep the peace oil. FOLLOW ME BOY OIL - Seduction, irresistible woman, be mine, sensuality, desire me, sexual attraction, keep me close oil. FOLLOW ME GIRL OIL - Seduction, irresistible man, be mine, sensuality, desire me, sexual attraction, keep me close oil. ENCHANTING OIL - Enchantress, Enchanter, Possess objects, forget me not oil, sweeten relationships, attract admirers, have it your way oil. 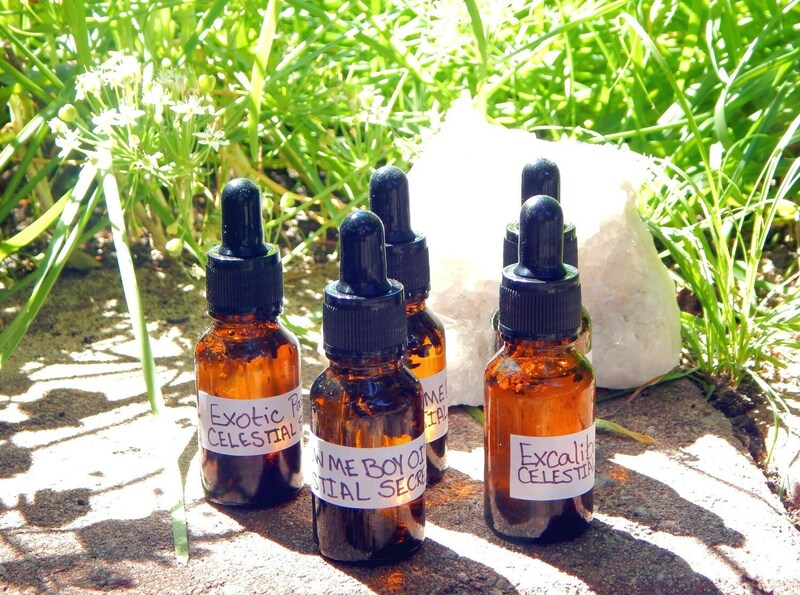 SOUL MATE BLEND OIL - Attract my soul mate, twin flame, true love oil, attraction, fidelity. UNCROSSING OIL - Removing bad energy, curse breaker, hex breaking, remove psychic attack. REVERSE OIL - Reversing negative energy, bad karma, releasing negative ties, reverse situations. 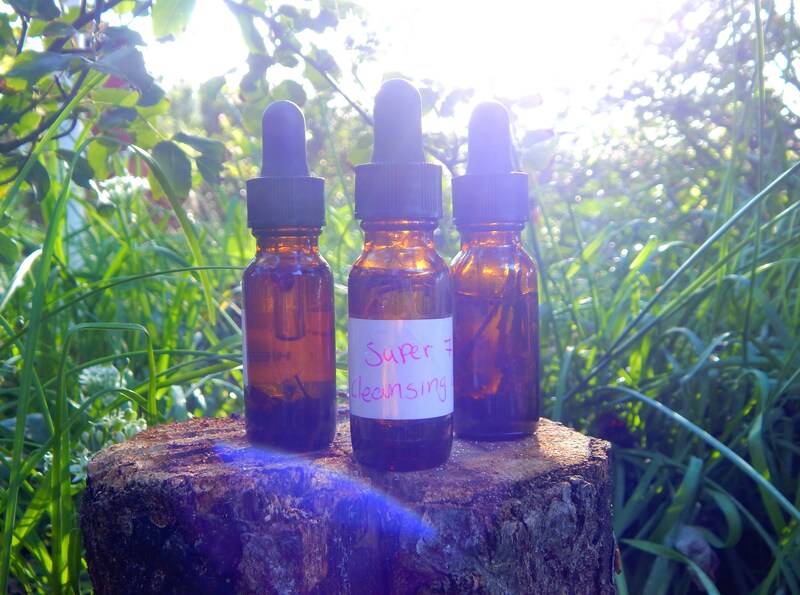 BANISHMENT OIL - Banishment, combating negative energy, protection, bad energy be gone oil. FORTUNA GOOD LUCK OIL - Goddess Fortuna, good luck, good fortune, gambling, wealth, prosperity, success. 7 ARCHANGELS BLESSING OIL - Spiritual connection, abundance, blessings, protection, good health, angelic connections, divine guidance. EMPATH'S SHIELD OIL - Protection, shielding, warding, empathy, emotional grounding, stability. 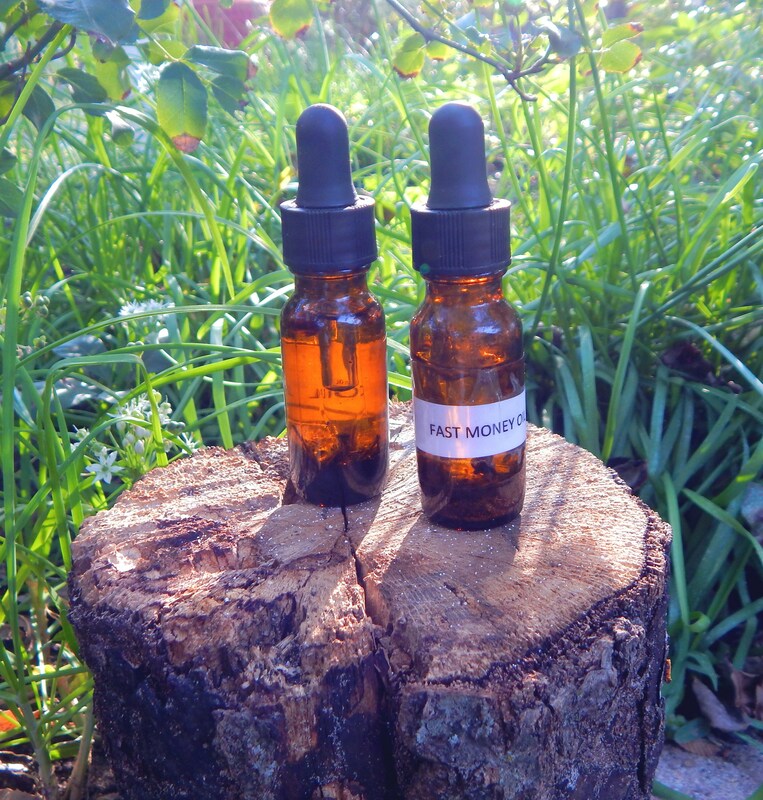 **FULL MOON OIL - special edition, limited quantity. Crafted monthly by Full Moon. Divination, divinity, purification, blessings.